I’m usually not one to jump on the popular stuff, especially the melisma-ridden divas of this infected generation of “singers.” I passed on Beyonce. I left Christina Aguilera behind. I don’t miss Alicia Keys all that much. And well, Taylor Swift, she just makes me lose faith in the human reproduction concept. But this is Adele. She’s one of the best selling singers of the past decade, and quickly approaching the sales numbers of the most popular singers of all time. And the bizarre part ….I like her. There’s a big bandwagon that picked me up for this one. Arguably the biggest artist of the 2000’s, I approached this release with great trepidation. I can’t remember the last Top 40 singer that got my attention. Unlike so many that have come before her, Adele is a singer that relies on her pure vocal ability and her excellent understanding of tone and soul. She will at times power some of her parts home, but it’s always in the context of the song, and the timing is always accurate. But Adele is not about acrobatics. This material is not about showing off. Adele is all about the tone, the soul, the passion. She has a genuine, earthy feel with the exquisite tone reminiscent of the great jazz singers of all time. When I first heard her voice I immediately thought of the classic sound of Billie Holiday, Lena Horne, or Nina Simone. Those ladies relied on capturing the feel of a song. They relied on tone and turning a phrase. Turning their voices into an instrument and becoming part of the band was the goal, not to drown out the band by grandstanding with over-the-top power. Adele holds true to that classic concept and drives home a piece of vocal artistry. 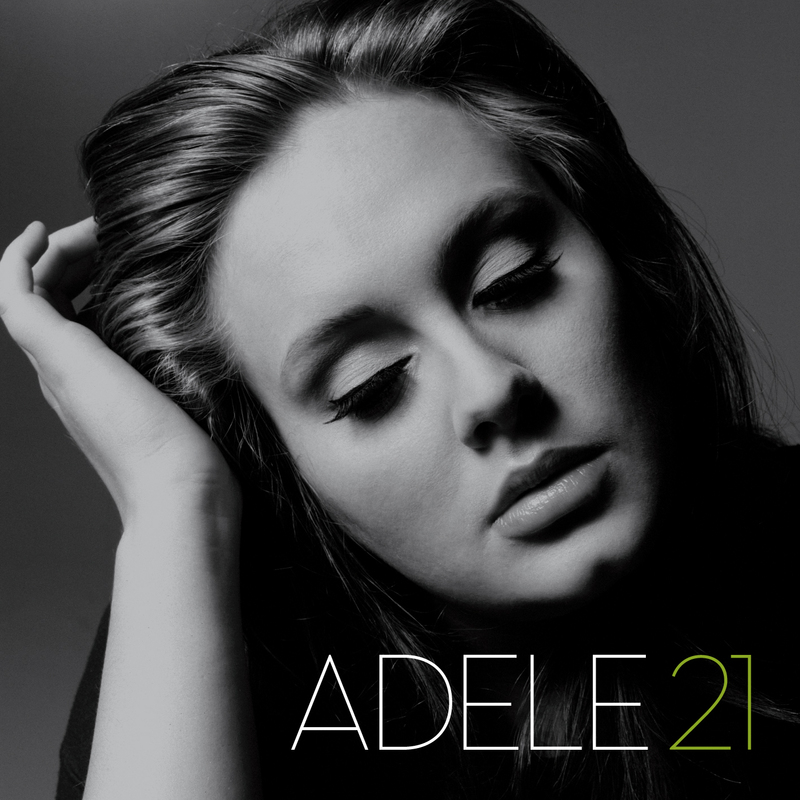 21 finds Adele sending shivering tone down your spine with songs like “Someone Like You,” “Rollin In The Deep,” and “He Won’t Go,” but she also powers up with songs like “Set Fire To The Rain.” Some great examples of that classic lounge singer style shows through on tracks like “Take It All” and her cover of The Cure’s “Lovesong.” But the most impressive part of this set for me is when she steps outside of the box. “One And Only” and “Don’t You Remember” remind me of Janis Joplin because of the way the song seems to carry her away. She just lets things rip, ending some notes with a few jagged edges – beautifully rough edges. It’s not even about getting things perfect here, it’s about grabbing hold of the song and making it her own. She does just that. Perhaps my favorite track on the album is a song called “I’ll Be Waiting.” This is a track that stands out because of its style difference. It’s more of a straight forward rock track, but it still finds its way to Adele’s heart and soul. She puts just as much into this one as she does the rest of the album. This time she’s backed by a blaring horn section and backup singers, and the explosion of sound is a great fit within this set. Will Adele be one of my favorite artists for the next 10 or 20 years? Will she be great every time out? I’m not counting on anything quite like that, but she sure is great on this one and the bandwagon is getting quite comfortable.